Didn’t get a chance to post yesterday as my evening was chock full of goodness. Gene and I stopped at Trader Joe’s on the way home from work so I could grab some beef-less ground beef (it’s quite good). It meant we were later than normal getting home and when we did get home I had to update Pidget, my gnome wizard as we were going to play D&D and we had leveled the week prior – more spells for me! That took me longer than I thought so I ate dinner afterward and we started playing. We didn’t stop playing until after 10:30pm so it was straight to bed for me. We had a successful session where we killed many monsters and detected great evil coming from down a mine shaft. 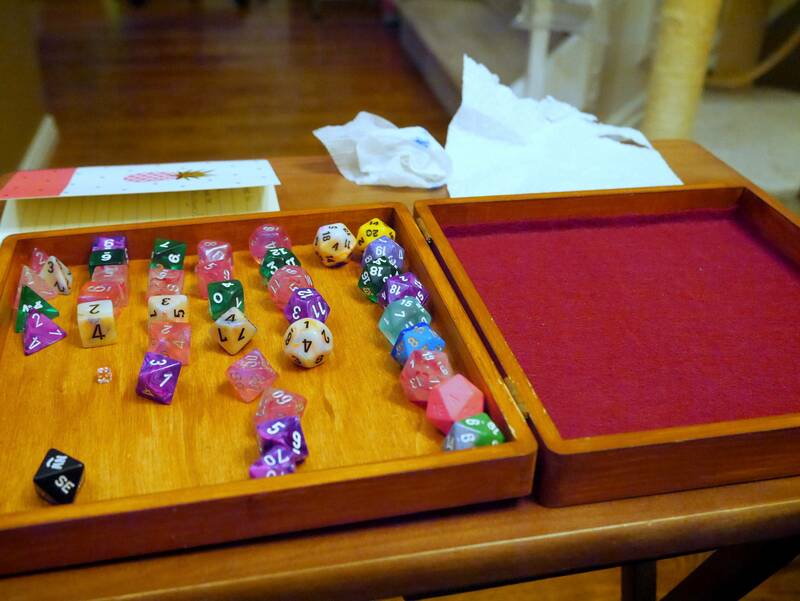 We each rolled at least one crit 20 (a good thing) and found some pretty awesome loot. Didn’t get to record this session as neither Gene nor I brought our work laptops home and our computers aren’t close enough to the table for us to use. That’s okay though, we’ll get it down eventually. Dice box I made. Still a work in progress but I’m loving it! Next Post Games and D&D – what else? 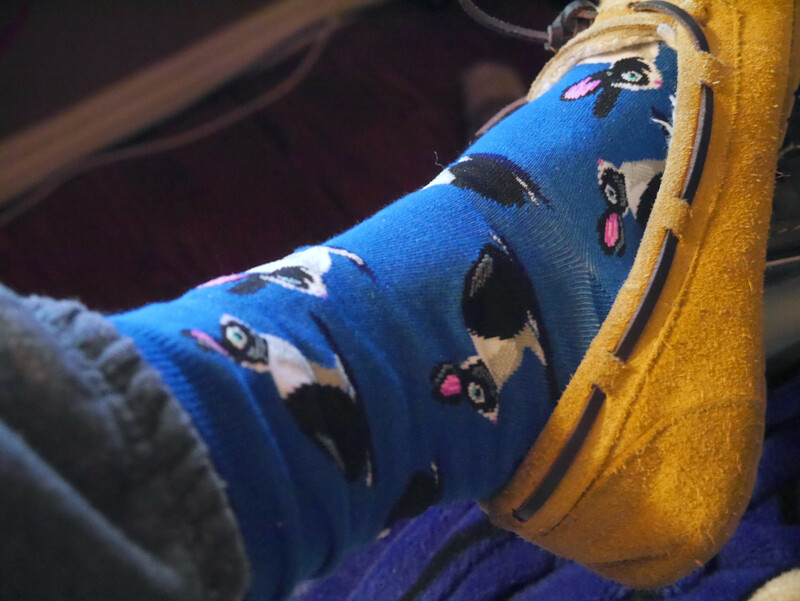 The socks are so cute – very fun! It sounds like you’re having a pretty splendid winter. Save some fun times for me!